Oblivion Sower ($0.00) Price History from major stores - Prerelease Events - MTGPrice.com Values for Ebay, Amazon and hobby stores! 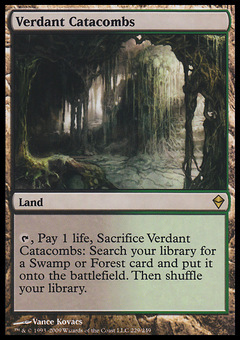 Card Text: When you cast Oblivion Sower, target opponent exiles the top four cards of his or her library, then you may put any number of land cards that player owns from exile onto the battlefield under your control. Flavor Text: The Eldrazi hunger without limit and consume without pause.